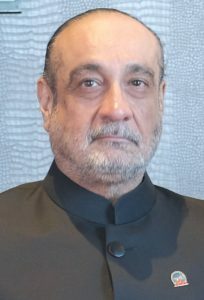 Bhupinder Singh Khalsa is the Founder and CEO of Ranee Impex. A Geo-technical engineer, he came to Canada from India in 1986 and is a pioneer in introducing Indian Marble and Granites to North America and Europe. Bhupinder also supported a Grand Memorial for Canada’s fallen soldiers. Exquisitely carved in black granite and shaped as a Maple Leaf, this 15 tonne memorial is dedicated to Canadian Armed forces and placed at the premises of Canadian Museum of Hindu Civilization in Richmond Hill, Ontario. Bhupinder is a proud member of the Board of Governors at Canada India Foundation.